Owners of Ford vehicles equipped with dual-clutch PowerShift transmissions may qualify for monetary compensation or other benefits under a recent class action lawsuit settlement. According to the settlement, Ford is required to pay all legitimate claims relating to the PowerShift transmission, and while there is no set value in the settlement documents, it is estimated to be worth $35 million. Omar Vargas began this litigation back in 2012 with allegations that PowerShift transmissions equipped in certain 2012-2016 Ford Focus and 2011-2016 Ford Fiesta models were defective in a way that put passengers and others on the road at risk. Over a dozen other class action suits were soon filed for the same issues, with plaintiffs claiming that the transmission “slips, jerks, harshly engages, and bucks.” These issues can cause unpredictable acceleration behavior and can make it difficult to stop the vehicle. The suit also asserts that the defect can cause a catastrophic failure of the transmission. Depending on the Class Member’s situation, the PowerShift transmission class action settlement may pay out various benefits, including cash compensation, discounts, or repair services. There is also a provision that allows Class Members to take claims to arbitration for the repurchase or replacement of the entire vehicle, and for reimbursement of repairs due to warranty breach. Class Members may be entitled to a payout of $50 per dealership visit relating to the PowerShift issue, for a total of up to $600. Additionally, cash payouts are capped at $2325, or a discount certificate valuing up to $4650 may be obtained instead. For more information regarding the Ford PowerShift transmission class action settlement, visit www.fordtransmissionsettlement.com. 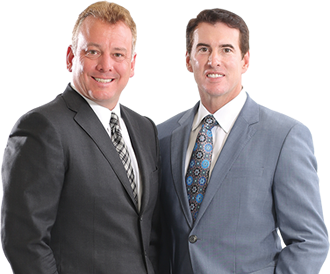 If you plan on taking your claim to arbitration or are in need of assistance with going through the settlement filing process, the BCN Law Firm in The Villages is here to help. Call us today at (352) 775-4739.